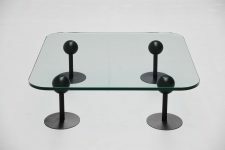 Collectible coffee table designed by Philippe Starck for Les Trois Suisses, France 1982. 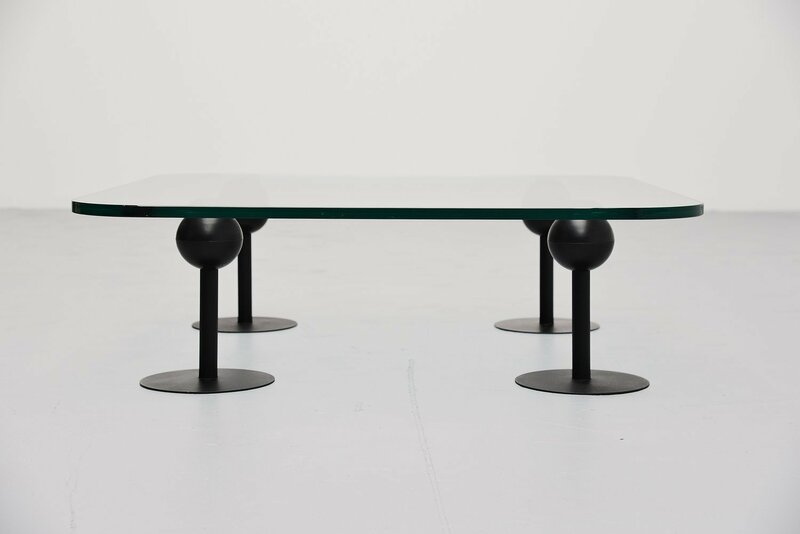 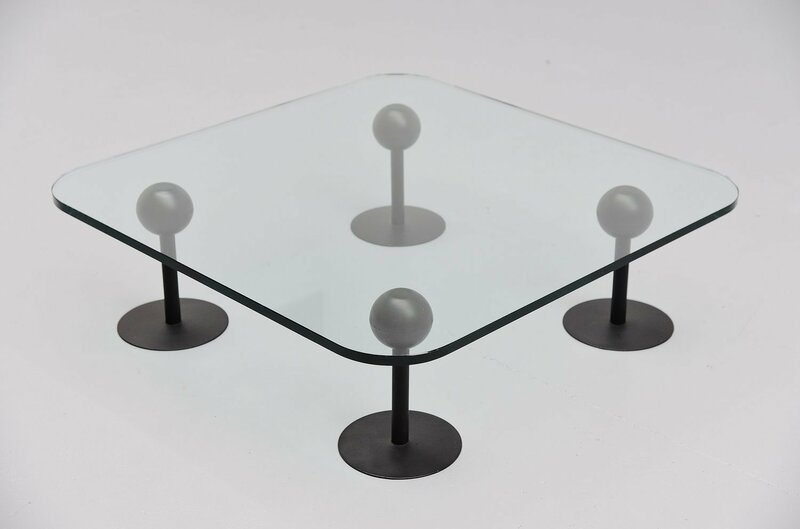 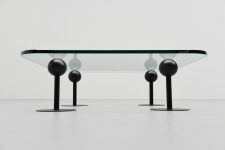 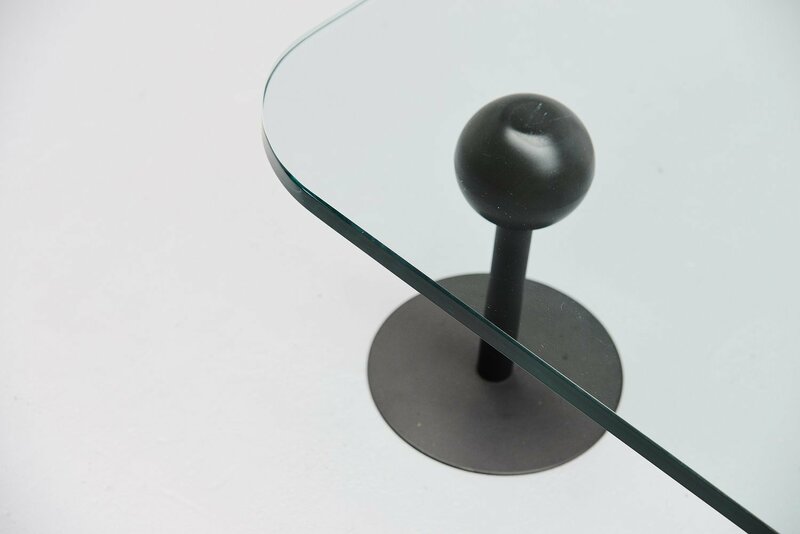 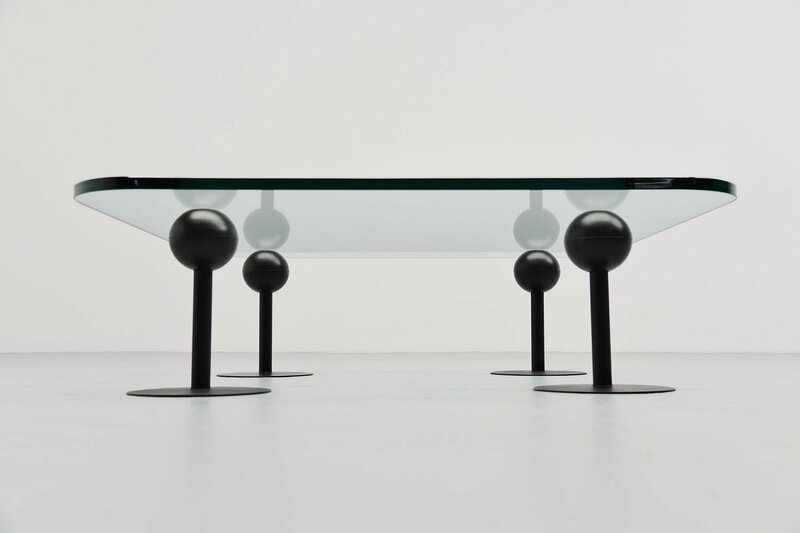 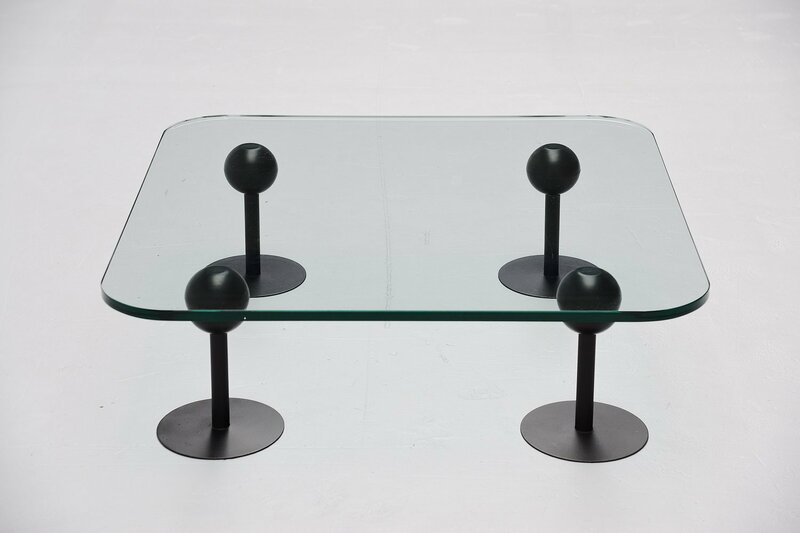 This table exist from 4 black bases with rubber balls on top supporting a thick glass top. 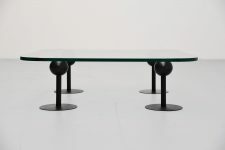 Very nice modernist shaped table. 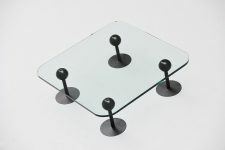 The glass is in very good condition with only minimal surface wear but no chips or cracks.